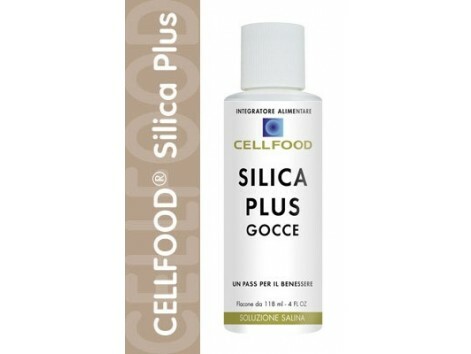 CELLFOOD SILICA With age, levels of silica body's decline. During youth, our tissues absorb and maintain high levels of silica, thus enabling the body to retain flexibility, elasticity and energy and keep the skin smooth and elastic. When we age, our levels of silica decline and begin to appear other signs of aging. 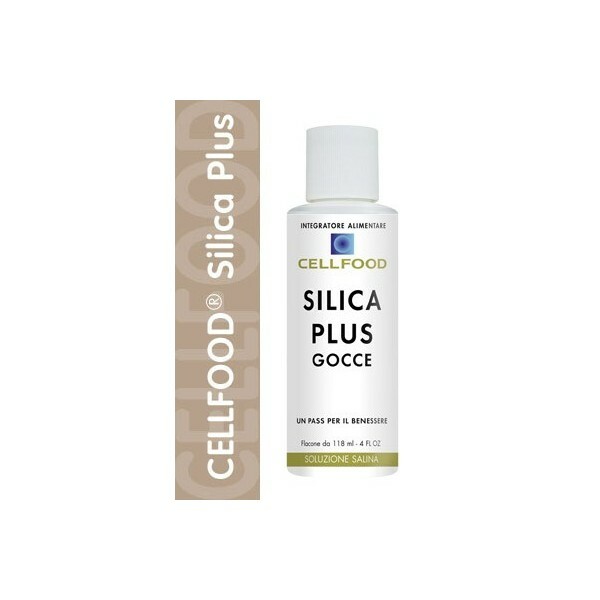 CELLFOOD Silica contributes to the reduction or elimination of dry skin and wrinkles, a cure for sensitive teeth and gums, slows hair loss and prevent the weakening of the bones. You can also promote the healing of wounds and the correction of several disorders at the corporeal, linked to the aging process. Many professional athletes use CELLFOOD Silica because it helps to reduce the natural period of convalescence and accelerates healing. SILICON It is found in bones and especially in the interstitial matrix, that is the connective tissue, which is ubiquitous. Mechanism of action: Remineralization. Contrast of inflammation. Support of elastic fibers. Muscle and Tendon healing. Help on the following: Completion sports. Trauma and diseases of the bones, muscles and tendons. All skin diseases. Enhancing the immune system. Remineralization of bone. How to use: Shake the bottle before using and add 15 drops into a glass of low mineral water or purified 2 times a day, drink slowly. For problems or intense sports activity can be double the dose (we recommend using waste water mineralescon under-valued at 180 º inferioresa the 50mg and a pH value below 7).